Unwanted guests are never fun, especially when you can’t ask them to leave. Luckily, Decatur pest control companies have no problem kicking them out. Whether there’s a rodent in your basement or insects in the attic, call your local Decatur exterminator to take care of them — do not try to wrangle them out yourself! Not sure which type of home pest control service in Decatur, GA can tackle your issue? Read profiles and ask about their past experiences to get a good idea. Being a local family-owned and operated business, we’re able to offer you that personal touch you’ve been looking for. Our goal is to always make all of our customers happy, and we believe in treating each customer like a part of our family. We service the Atlanta metropolitan and surrounding areas. AC Quality has over 20 years experience in residential and commercial areas for both pest and termite services. 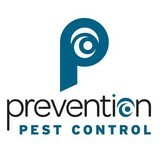 Licensed and Insured, we are members of the Georgia Pest Control Association and the Certified Pest Control Operators. 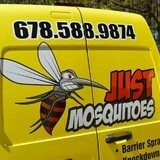 We specialize in Termites, Pretreats, Clearance Letters and Home Inspections. Please contact us for your free consultation or estimate. We look forward to hearing from you soon! Amen Pest Control LLC prides itself on being the go-to choice for clients looking for Pest Control, Bed Bugs and Exterminator services. The Bed Bug Answer was established out of the explosive problem of bed bugs in the United States and the lack of effective solutions on the market today. After extensive company growth The Bed Bug Answer changed its name to RED COAT Services, LLC. in January of 2012. 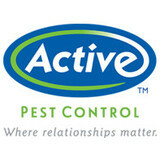 The company is the ONLY licensed pest control operator with the Georgia Department of Agriculture specializing exclusively in canine and heat services for bed bugs. Selecting a pest management provider is an important decision. You want to know your dealing with a quality company with highly trained, responsible, and consistent service professionals. We provide convenient service scheduling from our offices to eliminate hassles and provide an accurate, easy to understand bill after each service. Peachtree goes to great lengths to train our service professionals to the highest level possible. Best of all...we do these things at the most competitive rates in the business. It truly is our goal to provide the best customer service experience possible. It's our commitment to excellence...that's the Peachtree Promise!